Regular attendance in all courses is strongly recommended. Attendance requirements for individual courses will be set forth clearly by the instructors at the start of each course. (See Course Information Policy ). In each course, the student must attend the particular section for which he or she is officially registered. Exception: for the purpose of making up a missed class, a student may, with the permission of both instructors involved, attend a class other than the one for which he or she is registered. Chapter 151C of the General Laws of Massachusetts permits any student in an educational institution, who because of his/her religious beliefs, is unable to attend classes or to participate in any examination, study, or work on a particular day to be excused and to be provided with an opportunity to make up such examination, study, or work requirement, provided, however, that such makeup examination or work shall not create an unreasonable burden upon the University. No fees of any kind shall be charged by the institution for making this opportunity available to the student. No adverse or prejudicial effects upon a student shall result from following the provisions of this section. If you are denied this right, contact the Office of Equal Opportunity and Human Rights, 978.542.6106. Annually, Salem State University informs students of the Family Educational Rights and Privacy Act of 1974 (The Buckley Amendment, generally referred to as FERPA) and the Fair Information Practices Act of 1975. Salem State University intends to fully comply with these statutes, which were designed to protect the privacy of education records, to establish the right of students to inspect and review their educational records, and to provide guidelines for the correction of inaccurate or misleading data through informal and formal hearings. Students also have the right to file complaints with the Family Policy Compliance Office (FPCO), U.S. Department of Education, 400 Maryland Avenue, SW Washington, DC 20202-5901, concerning alleged failures by the institution to comply with the Act. Directory Information is defined by FERPA as information which would not generally be considered harmful or an invasion of privacy if disclosed. Salem State University has designated the following as Directory Information, and such information may be disclosed by the institution for any purpose, at its discretion. The University may disclose any of these items without prior written consent, unless the student has submitted a written request to the Registrar’s Office not to release directory information pertaining to him or her. Requests will be processed within 24 hours after receipt. A full copy of the current FERPA policy, including student rights under FERPA and the conditions under which Salem State University may release information from educational records, may be found on the Student Navigation Center web site. The University reserves the right to revise the designation of public directory information each academic year with full notification to students and the wider University community prior to such designations taking effect. The Commonwealth Honors Program at Salem State University is designed to offer to those students whose abilities and previous performance are demonstrably higher than the norm, a curriculum option that will be more challenging than the general university curriculum. Courses in the Honors Program are qualitatively different in their design and content from the standard university requirements, and smaller class sizes allow greater individual interaction with faculty members. A seminar format is used in most Honors Program courses, giving students the opportunity for independent research and class presentation. Special field trips and sessions taught by visiting scholars contribute to a particularly rich academic experience for students enrolled in the Honors Program. Each semester students in the Honors Program take part of their academic program in Honors Program courses which take the place of university-wide required courses. Thus, even students in credit-intensive programs such as nursing, and business administration can participate in the Honors Program and still stay in sequence in courses required by their majors. Freshman applicants must achieve a scaled high school GPA of 3.7 or higher and SAT scores of at least 500 on each section (math, critical reasoning and writing) or an ACT score of at least 24. In addition, student applicants must submit an essay for review by the Honors Admission Committee. Acceptance to the Honors Program for freshman applicants who meet the eligibility criteria will be on a space available basis. Currently enrolled students and transfer applicants should have an overall university GPA of 3.50 or better and fewer than 48 college credits (inclusive of the semester of honors application). Transfer students who have completed honors courses at other colleges are encouraged to apply and may do so with college credit totals up to 60 credits (inclusive of the semester of honors application). Currently enrolled students and transfer applicants are considered on a case-by-case basis to determine whether they can meet the Honors Program requirements within their selected course of study. The Program guarantees admission to all students who graduate from Commonwealth Honors Programs within Massachusetts community colleges and are accepted for transfer. Students who do not meet eligibility qualifications but who wish to be considered for inclusion in the Honors Program may write a letter presenting their reasons for inclusion, accompanied by two letters of recommendation from high school teachers, counselors, or principal, or two college professors. These letters should be sent to the Honors Program Coordinator, Salem State University, 352 Lafayette St., Salem, MA 01970. To remain in good standing in the Honors Program, a student must maintain a 3.2+ cumulative GPA each semester, complete the required program courses, and take at least one honors elective each semester until elective credit requirements have been met. Students who do not maintain these standards will be dismissed from the Honors Program. In addition any student may withdraw from the Program prior to the first week of the following semester. To be designated a Commonwealth Honors Scholar upon graduation, students must complete the required Honors Program courses listed below and (at least) 15 credits of Honors Program electives with a B- or better, complete and publically present an Honors Thesis, and maintain a minimum overall GPA of 3.2 or better through graduation. All courses with an “H” suffix after the course number are Honors Program courses and as such are open only to those students who are in good standing in the Program, unless indicated otherwise in the course description. For specific descriptions of the courses mentioned below, please see the appropriate department’s course offerings. Honors Program Electives (not to include credit received for thesis coursework): Any two honors courses plus one each from the following categories: Scientific Investigation, Global Studies, and Exploration of Ideas. (These courses cannot be taken by students majoring in Biology or Nursing to fulfill the Biology requirements of those programs). Students following the Transitional General Education model may also elect to follow the Honors curricula requirements here within. Honors Program students may take up to 22 credits each semester. Under extraordinary circumstances, a higher course load may be approved by the student’s major department and by the Registrar’s Office. The curriculum development of Honors Program elective courses is by no means completed, and students and advisors will be notified about progress in this area. Alpha Kappa Delta is the international sociology honor society. Alpha Kappa Delta derives its name from the first three letters of the three Greek words that together signify the Society’s goal: To study humankind for the purpose of service. The purpose of Alpha Kappa Delta is to promote human welfare through the association of a fellowship group interested in developing scientific knowledge that may be applied to the solution of social problems. Sociology majors or minors who are juniors, who have completed at least four sociology courses, who have an overall G.P.A. of 3.3 or higher and who have a G.P.A. of 3.0 or higher in Sociology are eligible for induction into AKD. The Sociology Department reviews student records to identify and notify eligible students each year. The department holds the AKD induction ceremony annually at the end of the spring semester. Alpha Lambda Delta is a national society which honors high scholastic achievement during the first year in college. The purpose of the organization as stated in the constitution is: to encourage superior scholastic achievement among students in their first year in institutions of higher education, to promote intelligent living and a continued high standard of learning, and to assist women and men in recognizing and developing meaningful goals for their roles in society. Alpha Lambda Delta is open to eligible students in all majors as well as undeclared students. 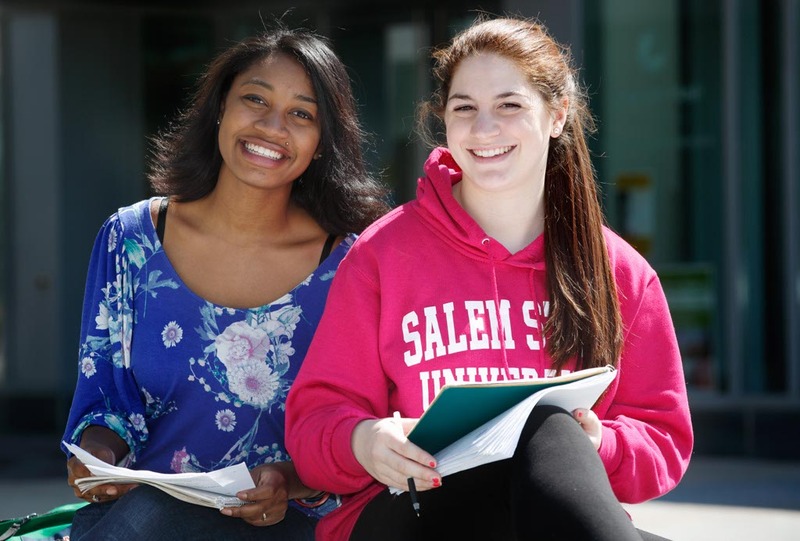 Students must have an overall grade point average of 3.50 or better at the end of their first semester or first year at Salem State University. For further information, contact the Academic Affairs office to leave a message for one of the Society’s officers. Alpha Mu Alpha is the national marketing honorary society was established in 1981 for qualified undergraduate, graduate, and doctoral marketing students. Under the auspices of the American Marketing Association, a selected advisory committee of marketing educators designed the recognition program to acknowledge outstanding scholastic achievement on a highly competitive basis. Membership status in Alpha Mu Alpha is available to individuals who attend a school having an established American Marketing Association collegiate chapter, and/or who attend an accredited AACSB (American Assembly of Collegiate Schools of Business) institution. The Alpha Mu Alpha faculty coordinator on campus nominates marketing students who meet the academic standards approved by the American Marketing Association Board of Directors. The nominees are invited to complete initiation procedures and gain Alpha Mu Alpha honorary recognition. All students in the top 10% grade point average (GPA) of all undergraduate senior marketing students at the school graduating within the academic year. 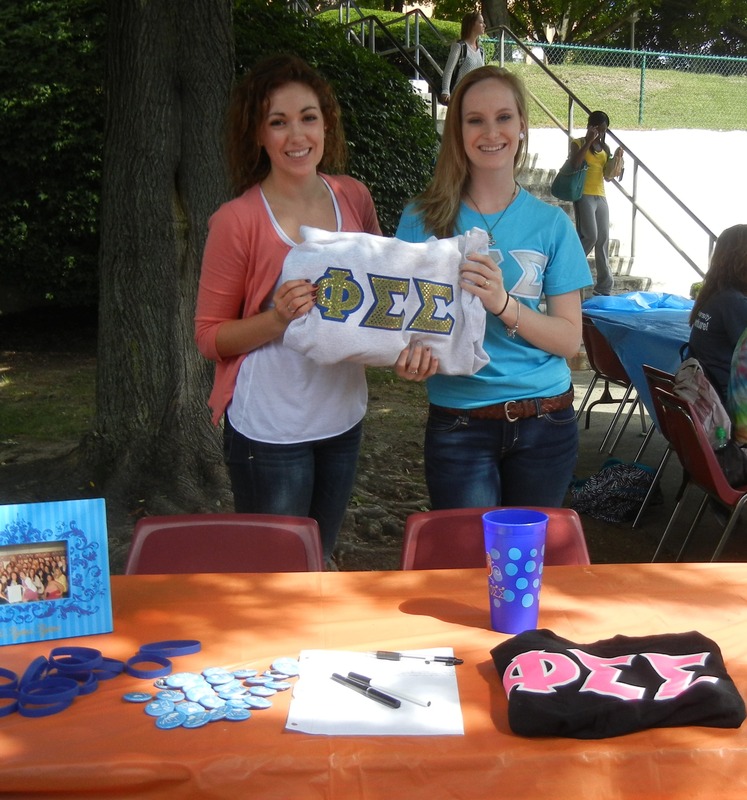 Alpha Phi Sigma is a nationally recognized honor society for students in the criminal justice sciences. The Eta Eta Chapter was established by the Department of Criminal Justice in 2005. The society recognizes academic excellence of undergraduate and graduate students of criminal justice. Undergraduate students must maintain a minimum of 3.2 overall GPA on a 4.0 scale and a 3.2 GPA on a 4.0 scale in criminal justice courses. The student must also rank in the top 35% of their class and have completed a minimum of four courses within the criminal justice curriculum. The Honor Society is open to those with a declared criminal justice major or minor. Graduate students are required to maintain a minimum of 3.4 GPA in both criminal justice courses and overall courses, on a 4.0 scale. Students must have completed a minimum of four courses within the criminal justice curriculum. Delta Mu Delta is an international honor society for Business Administration majors. The Society’s goals are to promote higher scholarship in education for business, and to recognize and reward scholastic attainment in business subjects. Gamma Theta Upsilon is the international honor society in geography. Since the Alpha chapter was established at Illinois State University in 1928, the society has grown to chapters at over two hundred colleges and universities around the world. Members of GTU have met academic requirements and share a background and interest in geography. GTU chapter activities support geography knowledge and awareness. 1. To further professional interest in geography by affording a common organization for those interested in this field. 2. To strengthen student and professional training through academic experiences other than those of the classroom and laboratory. 3. To advance the status of geography as a cultural and practical discipline for study and investigation. 4. To encourage student research of high quality and to provide an outlet for publication. 5. To create and administer funds for furthering graduate study and/or research in the field of geography. 6. To encourage members to apply geographic knowledge and skills in service to humankind. Gamma Theta Upsilon is open to persons who have completed at least 60 hours of college-level credit (i.e. junior or senior status), 30 hours of course work at Salem State, at least four courses in geography with a “B” average, and shall be ranked in the upper thirty-five percent of his or her class. · Gamma Theta Upsilon membership is earned through superior scholarship; it is an honor, and a professional distinction. Members receive a certificate, suitable for framing, as well as a pin. · No further membership dues are paid to the national organization after the initiation fee. · Membership provides a network where you can become better acquainted with other geography students and can meet and talk with geography faculty informally. · Members are eligible to apply for a variety of Gamma Theta Upsilon scholarships. · Membership in an academic honor society is evidence of your dedication and competency in your career field. Some employers give hiring preference to honor society members. In addition to local chapter activities during the academic year, the international society sponsors awards for academic excellence, educational funds for student research, paper sessions at professional meetings, a journal and other programs to further professional interest in geography. Lambda Pi Eta is the official communication studies honor society of the National Communication Association (NCA) and is a member of the Association of College Honor Societies (ACHS). Since its foundation at the University of Arkansas in 1985, the society has grown to include more than 400 active chapters at four-year colleges and universities worldwide. The letters L, P, and E represent what Aristotle described in his book Rhetoric, as the three ingredients of persuasion: Logos (Lambda) meaning logic, Pathos (Pi) relating to emotion, and Ethos (Eta) defined as character credibility and ethics. Lambda Pi Eta recognizes, fosters and rewards outstanding scholastic achievement in communication studies and encourages the professional development of communication majors. To be eligible to join the Salem State University chapter of Lambda Pi Eta, Sigma Omega, students must major in Communications and have earned a minimum of 60 total credits and 12 Communication credits, with a minimum of a 3.125 overall GPA and a 3.25 GPA in the major. The Communications Department invites eligible students to join on an annual basis. Omicron Delta Epsilon (International Economics Honor Society), one of the worlds largest academic honor societies, was created in 1963 through the merger of two honor societies, Omicron Delta Gamma (The Order of Artus) founded in 1915 by John R. Commons, University of Wisconsin and Frank Taussig, Harvard University and Omicron Chi Epsilon founded in 1955 by Alan A. Brown while he was a student at City College of New York. The objectives of Omicron Delta Epsilon remain rooted in this long history. The Society aims to confer distinction for high scholastic achievement in economics, stimulate and promote student interest in all aspects of economics, publish The American Economist, and sponsor the Fisher-Taussig Award Competitions. 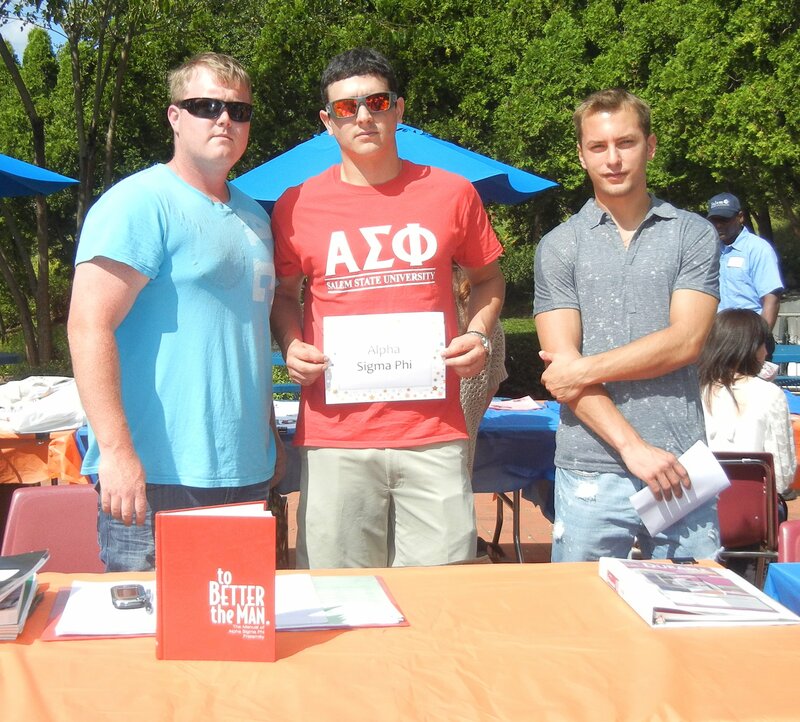 Membership in Omicron Delta Epsilon is open to all undergraduate, graduate, faculty, alumni, and honorary members of Salem State University with a focused interest in economics. Undergraduate students must, at a minimum, have completed twelve hours of economics with an average of a B or better, have an overall GPA of at least a B and a class standing in the upper one-third. Graduate students must be in residence at least one semester with a major or minor in economics, hold an average of at least a B in their overall GPA and a class standing in the upper one-third. For more information, please contact the Economics Department. Phi Alpha, Tau Phi Chapter is a professional honor society which the School of Social Work became affiliated with in 2013. Its members are drawn from both undergraduate and graduate programs. In addition to the eligibility requirements below, students must demonstrate that they meet the professional standards required of them as outlined in the Professional Standards for the School of Social Work. As of the spring semester of senior year, students in the BSW Program who have Senior Status to graduate, a GPA of 3.25 overall GPA (transfer credits not applicable) and 3.7 SWK GPA or better are eligible for induction and lifetime membership. Individual lifetime membership is $20.00. Phi Alpha is designed to encourage and recognize scholarship and academic excellence. Both graduate and undergraduate students are eligible. The primary benefit to you is the public recognition of your achievement which is an honor to list on your resume and other career documents, participation in chapter and national honor society activities, scholarships and networking on a national basis. Students in the MSW Program’s General Study Plans must have completed all but 11 credits towards their MSW degree (transfer credits not applicable) and a 3.85 cumulative grade point average and be prepared for program completion in May or August of the current year. Students enrolled in the advanced standing study plan must have all but 3 credits towards their MSW degree (transfer credits not applicable) and have a 3.85 cumulative grade point average. Phi Alpha Theta is a professional society whose mission is to promote the study of history through the encouragement of research, good teaching, publication and the exchange of learning and ideas among historians. We seek to bring students, teachers and writers of history together for intellectual and social exchanges, which promote and assist historical research and publication by our members in a variety of ways. Undergraduate students must complete at least 12 semester hours in history (4 courses) with a GPA of at least 3.1 in history, have a GPA of 3.0 or better overall, and be in the top 35 percent of the class. Membership is not limited to history majors. Graduate students should have completed a minimum of 12 semester hours towards their master’s degree in history, have a GPA of better than 3.5, and shall have completed approximately 30 percent of the residence requirements for the master’s degree. Phi Epsilon Kappa is the national honor society for students in the fields of physical education, health, recreation, dance, human performance, exercise science, athletic training and sport management. This society was established on the basis of educational and charitable purposes and provides an avenue to recognize outstanding academic achievement, foster a spirit of loyalty, and to share information and experience in the field. Requirements for membership are as follows: 1) Completed at least fifteen (15) credits within the Sport & Movement Science Department; 2) Completed at least forty five (45) credits overall; 3) Provide a letter of recommendation from a Professor within the Sport Movement Science Department; 4) Minimum cumulative grade point average (GPA) of 3.3 to be inducted; and 5) Maintain a minimum cumulative grade point average (GPA) of 3.2 after induction. Phi Kappa Phi is a century-old international community of distinguished scholars and professionals. Being interdisciplinary, people from all academic areas of the university may be invited to become members. You must be invited to join the chapter. An Initiation Ceremony for those who accept our invitation to join is held each spring semester. To date, almost 1800 people have been elected to the Salem State University chapter. The national Society sponsors a number of fellowship and grant programs. Emerging Scholar Awards and Study Abroad grants are available to any qualifying student from Salem State, while the Phi Kappa Phi Fellowship program, Lover of Learning Grants and Literacy Grants are only available to active members of the chapter. For more information on these awards, visit the national website at http://PhiKappaPhi.org. Phi Sigma Iota is the highest academic honor in the field of foreign languages. Admission to this honor society recognizes outstanding accomplishment in the study or teaching of any of the academic fields related to foreign language, literature, or culture. These fields include not only modern foreign languages, but also Classics, Linguistics, Philology, Comparative Literature, Bilingual Education, Second Language Acquisition and other interdisciplinary programs with a significant foreign language component. There are approximately 250 chapters of Phi Sigma Iota at institutions of higher learning in the US, Mexico and France. Eligibility criteria can be found at http://phisigmaiota.org/Eligibility.html. Pi Lambda Theta is an honor and professional association in education, dedicated to providing leadership development and academic excellence in education. Membership is open to undergraduate students who have completed 60 credits, have a 3.5 GPA, and are enrolled in a program leading to a career in education. Membership is also open to professional educators and to graduate students with a minimum 3.85 GPA who intend to graduate in the upcoming commencement. Biannually Salem State University’s Rho Sigma chapter initiates new members who are Political Science majors or minors who are juniors or seniors who have completed at least 24 credits in Political Science (or twelve credits for Political Science minors), have at least a ‘B’ average in their Political Science courses and are in the upper third of their class overall. Pi Theta Epsilon is the national honor society for Occupational Therapy for students and alumni. The objective of the society, as outlined by the founders of PTE, was to contribute to the advancement of occupational therapy through special projects of its members; to provide a basis for relationship among accredited programs of occupational therapy; and to work in cooperation with the aims and ideals of other student occupational therapy organizations. Pi Theta Epsilon supports the development of occupational science and the practice of authentic occupational therapy by promoting research and other scholarly activities of its members. In this way, the organization serves not only the profession but also helps to insure quality health care services for the general public.There are currently over 80 chapters throughout the United States. It is under the guidance of the American Occupational Therapy Research Foundation. Psi Chi is an international honor society with almost 1,100 chapters, whose purpose shall be to encourage, stimulate and maintain excellence in scholarship of the individual members in all fields, particularly psychology. Psi Chi strives to produce well-educated, ethical and socially responsible members who are committed to contributing to the science and profession of psychology, and to society in general. Sigma Tau Delta is the international English honor society. Sigma Tau Delta’s central purpose is to confer distinction upon students of the English language and literature in undergraduate, graduate, and professional studies. Sigma Tau Delta also recognizes the accomplishments of professional writers who have contributed to the fields of language and literature. Candidates for undergraduate membership must have completed a minimum of two college courses in English language or literature beyond the usual requirements in freshman English. The candidate must have a minimum of a B or equivalent average in English and in general scholarship, must rank at least in the highest thirty-five percent of his/her class, and must have completed at least three semesters or five quarters of college course work. Sigma Theta Tau is the International Honor Society of Nursing. The purposes of Sigma Theta Tau are to: recognize superior achievement; recognize the development of leadership qualities; foster high professional standards; encourage creative work; and strengthen commitment to the ideals of the profession. Undergraduate eligibility requirements include: Completion of approximately one-half of the Nursing curriculum; rank in the upper third of the class and cumulative grade point average of at least 3.0. The Honor Society also admits graduate students and community leaders in the field of Nursing. Sigma Xi is the honor society of research scientists and engineers. It is an international, multidisciplinary society whose programs and activities promote the health of the scientific enterprise, reward excellence in scientific research and encourage a sense of companionship and cooperation among scientists in all fields. With more than 60,000 members in over 100 countries, Sigma Xi sponsors projects and collaborations around the world through grant awards, publications, and program developments. CAPS is a program designed to provide State University System students the opportunity to study at another university within the System in order to add a different or specialized dimension to their undergraduate studies. A semester or more on a state university campus different from the student’s home university will give the student who participates the chance to broaden his or her educational experience with a wider range of faculty and courses. Through CAPS, a student may take from 3 to 30 semester hours of college credits at another state university without going through formal registration procedures and without a formal transfer credits approval process. For details, consult the Registrar. High school seniors are encouraged to enroll in freshman level courses for college credits. Registration must be accompanied by a written recommendation from the high school principal or guidance counselor attesting that the student is considered capable of meeting collegiate scholastic standards. Students wishing to take advantage of this opportunity should examine the schedule of courses and make selections with the advice of their guidance director. Students may register as non-degree seeking students in appropriate day or evening courses, and will follow all Continuing Education registration procedures. Salem State is a participant in the Northeast Consortium of Colleges and Universities in Massachusetts (NECCUM). Other members are Endicott College, Gordon College, Merrimack College, Middlesex Community College, Montserrat College of Art, North Shore Community College, Northern Essex Community College, University of Massachusetts - Lowell, and Marion Court College. Each college is located in communities north of Boston within an hour’s drive of one another. The participation of the University in the Consortium makes available to students the resources of all ten institutions. More than 130 program majors and concentrations are offered in these colleges which serve over 25,000 students in day division degree programs. NECCUM sponsors a cross registration program which opens many of these opportunities to students in each participating institution. Under the cross registration program, students at Salem State University may enroll each semester at another member college. This policy greatly broadens curriculum offerings available to students. Full-time day students are eligible for this option with the approval of the Registrar. Students at each institution also have full library privileges at all ten institutions. Further information on cross registration can be obtained from the Registrar’s Office. Credits earned at other NECCUM institutions will count toward the degree, and the grades and credits will be used in developing the student’s grade point average at Salem State University. Only full-time Day Program students are eligible to participate during the academic year, exclusive of summer school. Students may cross register in courses on a “space available” basis as long as all course prerequisites and corequisites are met. Each member institution may establish its own internal policy for regulating student cross registration. Appropriate institutional approval is required for all students who cross register. First semester freshmen are excluded from participation in cross registration (except for ROTC). No more than two courses per semester may be cross registered; exceptions must be approved by the Academic Deans or their designees of both the home and the host institutions. Students must have minimum a cumulative grade point average of 2.0 to participate. Exceptions must be approved by the Provost and Vice President, Academic Affairs, or an appointed designee, at Salem State University. Lab fees and other course fees (non tuition or instructional fee) required for a particular course are not exempt and must be paid by the participating student to the host institution. If grading options exist at the host institution (i.e.,pass/fail), the policies of Salem State University will apply and may supersede those of the host institution. Graduate courses and courses offered through the Evening Division programs shall be exempt from the provisions of this policy. Other activities of the Consortium include interlibrary loan arrangements, sharing of plant facilities, joint purchase arrangements, and interinstitutional sponsorship of faculty/student colloquia, school/college collaboration and special events programming. Salem State University is a member of the National Student Exchange (NSE) program which is a unique, not-for-profit consortium of nearly 200 accredited, baccalaureate-granting colleges and universities in the United States, Canada, Guam, Puerto Rico and the U.S. Virgin Islands. The National Student Exchange (NSE) Program offers university students an opportunity to explore a different geographical and cultural environment, broadening their academic experience. NSE provides exchange opportunities for the multitude of undergraduate students who meet eligibility and for whom an overseas experience is not appropriate, comfortable or affordable. Students may exchange for one semester or a full academic year. Any full-time Salem State University student in good academic standing with a 2.5 minimum cumulative grade point average may apply for exchange. In addition, student applicants must complete a full academic year at Salem State University prior to exchange semester (students can apply as early as their freshman year to participate in an exchange during their sophomore, junior, or senior year). Students must complete and submit an NSE application along with an application fee (non-refundable) in time for review prior to NSE placement decisions. Please note, if the cumulative grade point average for the term preceding exchange falls below 2.5, exchange may be subject to cancellation. For additional information regarding the NSE eligibility and application processes (institutional and national) please contact the academic advising office. The National Student Exchange is a tuition-reciprocal exchange program and uses two payment plans to accommodate that reciprocity. Students are able to use financial aid towards the NSE program; however this must be discussed with NSE representative from the financial aid office and the NSE coordinator. Plan A - The student pays the resident (in-state/in-province) tuition and mandatory fees of the host campus directly to that campus. Plan B - The student pays normal tuition and mandatory fees (e.g., health services, student activities) fees to their home institution. That payment is retained by the home campus; it is not transferred to the host institution. Students do not pay tuition to the host campus. Since Plan B students have paid their mandatory fees to their home university, they are not expected to pay these fees to their host campus. There are occasional exceptions Plan B students encounter when their host campus is not able, by institutional or board policy, to waive certain fees (i.e., student health fees). Such fees are identified on the Campus Profile located on www.nse.org. Whether using Plan A or Plan B, students are expected to pay to their host campus those fees which are assessed as a condition of enrollment in courses (e.g., laboratory fees, internship, art and photography supplies, student teaching, field studies). The cost for room and meals are always paid directly by the student to their host college or university. Upon completion of the Nation Student Exchange program, returning SSU students must provide an official transcript or grade report from the host institution. Transcripts will be reviewed and added to the student’s Salem State University transcript (transfer courses must be approved prior to exchange to ensure course equivalency). This entry will include the name and location of the exchange institution, the courses as listed, the credits hours for each course as well as grade equivalent. Academic credits will be transferred to Salem State University, but the grades will not be calculated into the student’s grade point average. Only grades of C- or better will be transferred into Salem State. For additional information on the National Student Exchange, please contact the academic advising office. Salem State University participates in a regional cooperative program administered by the New England Board of Higher Education. This program, known as the New England Student Program, permits qualified students of the New England states to study with in-state tuition and admission privileges in certain programs at any of the states Universities, the public two-year colleges, and technical institutes. Board of Regents policy allows all public higher education institutions participating in the Regional Student Program to charge all out-of-state students enrolled in a recognized “Regional Student Program”, under the New England Regional Compact, a tuition surcharge of 50% of the applicable in-state tuition charge. Detailed information about this exceptional program can be obtained from any Undergraduate Admissions or at the New England Board of Higher Education web site. The purpose of this program is to expand opportunities in higher education for New England residents by making available on an equal basis to all interested those courses not commonly offered at every institution. This practice tends to reduce duplication of courses and this utilizes most efficiently the higher education facilities in each state. Students who enroll at Salem State University and are considering preparation for admission to a school of medicine, dentistry, pharmacy, veterinary medicine, law, or other professions should inform the respective department chairperson prior to the orientation period so that an appropriate assignment of advisor can be made. Students who wish to consider a professional career in law may seek the assistance of the university’s pre-law advisor who guides students in their choice of courses and preparation for the law school application process. Although law schools do not prescribe a particular undergraduate course of study, the study of law requires strong writing, analytical reasoning, and comprehensive reading skills. As such, degrees in any field that emphasizes developing those skills can provide a good preparation for law school. Students who are interested in applying to law schools should also become acquainted, if not involved, with the university’s Pre-Law Society, a student group whose programs provide networking opportunities, field-trips, and information about applying to law school. There are many opportunities for careers in the health professions, including medicine, dentistry, podiatry, optometry, and physician assistant as well as veterinary medicine. All of these advanced programs typically require general biology, general and organic chemistry, physics and one year of college mathematics in the applicant’s undergraduate preparation. The Medical College Admission Test (MCAT) now includes a section on the social sciences beginning in 2015. Courses in psychology or sociology are helpful for those interested in medical school. Students might also explore careers in related fields such as genetic counseling and public health. Students interested in a career in the health professions should contact the Pre-Health Professions Advisor no later than the end of their sophomore year regarding the admissions process, whether majoring in Biology or another discipline. Dr. Susan M. Case in the Biology Department is the chair of the Pre-health Professions Advisory Committee. All students interested in applying to medical, dental, veterinary, or other professional health schools should consult her. Salem State University, consistently recognized as a military friendly school, is proud to assist current and former servicemembers, their spouses and dependents in achieving their educational and career goals. Salem State University is an approved institution offering education programs which are applicable under The United States Department of Veterans Affairs, Veterans Educational Benefits. Undergraduate students who are veterans, active duty or members of the active or reserve components receive priority class registration. Veterans who are Massachusetts residents or active duty personnel stationed in Massachusetts may be eligible for a university tuition waiver. For additional information, visit salemstate.edu/veterans. Salem State University evaluates credits for military education in accordance with the VALOR Act (Senate Bill 2254). For additional information, visit Valor Act Academic Credit Evaluation Policy . The University, through an agreement with the Massachusetts Institute of Technology, offers both Army and Air Force ROTC programs to full-time students. Army ROTC is part of the Paul Revere Battalion which includes cadets from Salem State, Harvard, Tufts, Wellesley, MIT, Endicott and Gordon College. The Air Force ROTC is part of the Doolittle Raiders unit at MIT. The ROTC programs offer leadership, field, and fitness training. Upon successful completion of the programs, graduates will be commissioned as officers. Students who elect to enroll in either program can apply for scholarship monies to support their education at the University. More specific information is available by calling Army ROTC at 617.253.4471, Air Force ROTC at 617.253. 4475. All research involving human participants conducted at Salem State University or by Salem State University students, faculty, or staff must be submitted to the Salem State University Institutional Review Board (IRB) for review before the start of the research. Research that meets one of the following criteria, it needs IRB Review: it is designed to develop or contribute to generalizable knowledge; puts participants at risk greater than the minimal risks of everyday life; involves special populations including minors under 18 years of age; or will be disseminated in written form or public presentations, including in-class or in-department presentations. Detailed information about the IRB process and guidelines for conducting research are available on the IRB Canvas site as well as in Polaris (faculty, staff) and Navigator (students). The application to the IRB is submitted online. Guidelines for completing the application and the application itself can be accessed on the IRB webpage and university portals. Applications are reviewed on a regular basis. Applicants are informed of the results of an IRB review via their Salem State email, generally within two weeks of submission and for full committee review as soon as possible after each meeting. Arrangements are made to review applications during the summer. A schedule of IRB meetings during the academic year is available on the IRB webpage. Investigators should keep copies of all IRB materials, including approved applications, consent forms, data collection instruments, recorded data, etc., in a secure location for three years after the completion of the project or for the time period specified in the approved IRB application before destroying it. For more information or guidance on preparing an IRB application, please review the full IRB policy manual or visit the Canvas site. The Center for International Education (CIE) is located in the Sullivan Building first floor. The Center coordinates international education activities at Salem State University, and serves as the focal point for the University’s international dimension by providing leadership in the internationalization of the University and by promoting global awareness and international education. The Center serves the University and the State by preparing students to play an active role in an interdependent world. The CIE serves approximately 450 students from 64 countries. The Office provides extensive support services and programs that facilitate the adjustment of international students to life both at Salem State University and to the U.S. so that they will be able to achieve their academic goals. Experienced advisors assist students with visas, orientation, immigration requirements, work authorization, travel, housing, drivers licenses, financial documentation, cultural adjustment and many other issues. Advisors provide educational and emotional support and act as ombudsmen and advocates with other University offices and with outside institutions. Training workshops are conducted on safety, immigration issues, work options, job searches, taxation, reentry, and other topics of interest. A newsletter is published, and forums and speakers are presented. Cultural and social programs offered, such as International Festival, Cultural Night, International Dinners, Fairs and Exhibitions, provide opportunities for international students to interact with and learn from both their American peers and each other in order to achieve greater understanding of cultural differences and similarities. Other activities, such as the Host Family Program, Faculty Mentor Program, and Teach-in Program integrate the international students into the larger Salem and neighboring communities, thereby fostering awareness and appreciation of other cultures. The Teach-in program places international students in local elementary or high school classrooms to share each other’s cultures. The Center also houses the International Student Association (ISA). The ISA performs multiple functions. While it seeks to help international students learn about the culture and the language of the United States, it celebrates the beauty and richness of the cultures represented here at Salem State. This approach helps create a caring and cooperative atmosphere for the entire University community. The International Student Association co-sponsors with the Center many events throughout the year including International Dinners, International Festival, and a Teach-In program. Membership in the ISA is free and open to all Salem State students. An integral part of the university community, the English Acquisition and Global Exchange Program serves students from over 25 different countries each semester. Offering a variety of non-credit courses, the program is designed for students who wish to improve their English proficiency and deepen their knowledge of US culture. Many students in the ESL program go on to complete bachelors and masters degrees at Salem State University. For all who participate in the program, developing their English is a key step in achieving educational, personal, and professional objectives. For those students who plan to complete a degree at Salem State, theprogram provides the perfect bridge to credit courses. Working with the English as a Second Language Coordinator and International Student Advisor, students receive assistance and advice throughout the application process. In addition, as their English proficiency increases, many students are able to combine their language studies with courses which will count towards their final degree. During sessions in the Fall, Spring, and Summer, ESL students can choose to study as few as three or as many as twenty-five hours per week. Courses such as “Integrated Skills” (an overview of grammar, listening and speaking) and “Reading and Writing”, which meet six to nine hours a week, offer students intensive instruction and practice. Elective courses provide opportunities to focus on particular topics or language skills. For example, as part of “Academic Skills”, students explore the US educational system by observing undergraduate classes, practicing presentation skills, and participating in panel discussions. Other popular courses include “Service Learning”, “Business English” and “TOEFL Preparation”. Classes in the ESL program are small and student-centered. Students learn in, rather than simply about, English. Designed to allow students to work simultaneously on all areas of language, class activities include: oral presentations, class discussions, research papers, and creative writing. In the past, students have performed skits, drawn cartoons, and produced videos as part of their class work. Extracurricular activities offer the perfect complement to classroom study. Through fieldtrips to libraries, museums, and historic sites, students deepen both their linguistic knowledge and their familiarity with the communities in which they are living. “Brown bag lunches” and “coffee hours” provide students opportunities to get to know their teachers and classmates better and to practice English in an informal setting. All of the teachers in the ESL program have Master’s degrees in Teaching English as a Second Language and have traveled extensively. Most have lived and taught in other countries, giving them particular insight into the challenges of learning a language and adapting to a new culture. Working closely with other members of the CIE staff, the ESL faculty strives to provide students with an enriching and supportive environment in which to develop their knowledge of English, of the US, and of Salem State University. Recognizing the international dimension of higher education, the growing importance of majors in area studies as well as international educational programs, and the increasing demand for exchange programs as well as cross cultural experiences, Salem State University has established a number of study abroad programs. Such programs give students the intercultural knowledge and competence that prepare them for lives and careers in an increasingly interdependent world. Salem State University participates in several study abroad programs. Internships, Service Learning Experiences and Volunteering are also facilitated by the study abroad office at the Center for International Education. Students may choose their experience from the College Consortium of International Studies (CCIS) with 37 institutions in 24 countries or they may participate in several approved study abroad programs from organizations affiliated with Salem State University. Additional opportunities in just about any country in the world are also available through programs sponsored by other institutions. Salem State also has a direct partnership with prestigious Universities where students may participate in a Semester at Reitaku University in Japan or at the University of Oviedo in Oviedo Spain. Summer language programs at the University of Oviedo, at the Universidad Latina in Heredia, Costa Rica, at the Universite Laval in Quebec, Canada and at the University of Florence, Italy are options for short immersion experiences abroad. These programs cover the globe and conduct courses in many languages, disciplines, and cultures. Programs vary greatly. There are year, semester, summer, and short-term programs. Students attending either semester or year programs, however, must maintain a full-time student status with the equivalent of twelve (12) credits hours per semester. Program costs, duration, dates, prerequisites, application procedures and academic offerings are individual. It is the student’s responsibility to make sure that all requirements are met. Courses designated as “Study Abroad” or “Study Travel” that take place outside of the United States can be used to fulfill the “World Cultures” requirement of the General Education curriculum. Financial aid for Salem State University students may cover all expenses for a study abroad program including tuition, fees, room, board, transportation, and personal expenses. Salem State University students can apply all federal, state, and Salem State University financial aid and scholarship awards to study abroad. Students may also use a variety of loan programs as well. The Financial Aid Office coordinates all aid for international programs in consultation with CIE.
Internships of varying credits hours and duration may be individually designed in conjunction with an international sponsor and the appropriate Salem State University academic department. Students must register for an appropriate internship course at Salem State University. Students will apply to become Salem State University study abroad students by completing an application form, along with two letters of recommendation, a short statement outlining their interest in study abroad, a transcript, and all materials required by the student’s chosen study abroad program. To be eligible, students must be in good academic standing and meet the criteria of the host institution. All students will remain as fully enrolled active students at Salem State University even though they are off campus. Students who study in the fall and/or spring semesters must account for a minimum of twelve (12) credits hours per semester. This academic load is to ensure full-time status at Salem State University for academic and financial aid purposes. University, but all courses will be recorded on the transcript to document the student’s study abroad program. The Salem State University transcript will be the official document of the student’s study abroad program. For additional information, contact the Center for International Education. Continuing and Professional Studies offers high quality credit and non-credit courses and programs. Our mission is to help our students earn degrees and certificates, achieve their professional goals and pursue their intellectual and recreational interests. 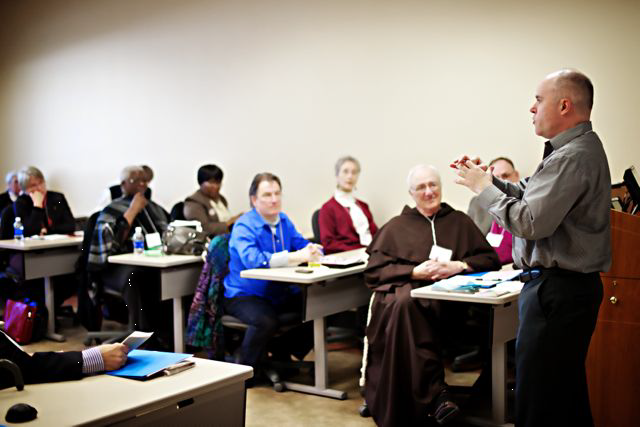 We also provide customized training and educational programs to businesses, schools and organizations. In addition to degree programs and certificates, the Credit Programs division offers the opportunity for students to take individual courses in any subject or group of subjects. The only requirement for registration is the possession of a high school diploma or a high school equivalency certificate (GED). For current information about Credit Programs in the School of Continuing and Professional Studies, please visit salemstate.edu/academics/colleges-and-schools/school-continuing-and-professional-studies/part-time-undergraduate. The Summer Institute program offers intensive, credit-bearing, week-long courses focusing on a variety of topics. Instruction may include guest lecturers, site visits, exposure to special collections and events, and the use of special media. Some institutes may require preparations prior to the start of the class, including readings, meeting with the instructor, and other projects. Academic endeavors may include major presentations and research papers. The institute format allows a dynamic interaction between student and faculty that provides a memorable, exciting, intellectual experience for all participants. The Travel Institute Program offers students the opportunity to earn course credit for participating in short-term, domestic and international, travel-learn programs led by Salem State University faculty. For further information, please call the School of Continuing and Professional Studies at 978.542.6324. Continuing and Professional Studies classes include various six week options in the fall, winter, spring and summer terms. Courses are typically offered in an online format, and more specific information can be found by viewing the schedule of classes in Navigator. Academic Advising for the evening undergraduate student is located in the Frederick E. Berry Library and Learning Commons. The advising staff is available by appointment for all students with evening hours during peak registrations periods. Continuing Studies students accepted into degree programs should plan to meet with an advisor at least once a year to go over their programs of study. Students not yet accepted are encouraged to meet with an academic advisor to have a preliminary transcript evaluation done of any previous college work before registering for courses. Information about academic advising can be found at www.salemstate.edu/campus-life/support-services/academic-advising. Continuing Studies students who wish to register for courses offered in the Day School (fall and spring) can find the schedule of courses in Navigator. Registration is available on a space available basis Degree-seeking undergraduate students in the College of Continuing and Professional Studies may register on the open enrollment date after early day registration has ended. Nondegree students will register at space available registration, published in Navigator and on the Student Navigation Center web site. Day School students may also register for courses through Continuing Studies when advisable. Day students should consult with their academic advisor or with a member of the Advising staff before registering for concurrent Evening courses. The tutition structure of the School of Continuing and Professional Studies is separate from that of the Day School. Day School students are required to pay the same tuition as other School of Continuing and Professional Studies students and students will be billed. The mission of the School of Graduate Studies is to provide high-quality graduate education and create a stimulating environment for research, scholarship, and civic engagement that prepares a diverse community of learners for success in an ever-changing global society. Salem State University provides a stimulating environment for graduate study in twelve disciplines, offering over 30 master’s degrees and a variety of certificates. A complete listing of all graduate programs, and requirements for admission and completion of these programs are found in the School of Graduate Studies Catalog. Graduate Assistantships are awarded tuition-only remission for all regularly scheduled courses during the fall and spring semesters. Tuition remission is considered a financial resource in any financial aid award. In addition, each full-time assistantship carries payment for work performed. Applications and eligibility requirements are available on the university web site.. Accepted undergraduate degree candidates at Salem State University who have completed at least 90 credits of their curriculum and have a 3.0 in the major, may be given permission to take graduate courses for undergraduate credits. Interested students should contact the Registrar’s Office for further information. Students in combined graduate and undergraduate programs may take a limited number of graduate courses as part of their undergraduate program, as specified by their major requirements.